I love it when women with an uncommon look conquer the world of Hollywood, Youtube or television channels. Recently, I saw Lena Dunham in the TV series Girls. After watching only 2 episodes I realized that she really is a great actor. It was very pleasant to see a rather normal woman in a series like this. I didn’t watch the series until the end (as usual) but it was a pleasure to see her on other fancy magazine covers such as Vogue, and I really like the way she talks in public. She is definitely not run-of-the-mill Hollywood star and I find it hard not to admire her. By the way, she is the daughter of a painter and a designer and… surprise, surprise: she likes handbags. Let’s see what we can learn from Lena’s outfits. I really love the heart pendant. I have been looking for one like this for a long time now. I hope you are aware that lately, the new trend in necklaces are those delicate ones. So I looked up some heart necklaces like this. Below you can see the ones that caught my attention. The melting heart looks so so cool, doesn’t it? What we can all learn from this outfit is that a pencil skirt like this can be worn outside the office as well. This kind of fabric is always a good companion, whatever the occasion. I also have a leather skirt, and you can see my office outfit by clicking here. Again, just a black dress and a gorgeous pair of shoes can create a really stunning look. OK, let’s not forget about the special touch it gets from the delicate red bra of course, but in general such a dress can be the perfect choice when you have to quick jump from work directly into a party. To the office, you can wear a blazer on top, and at the restaurant you can just unbutton it once or twice. Remember that in order to stay classy, girls with a bigger chests should avoid unbuttoning. Let’s talk about Lena in comments! Do you like her outfits? 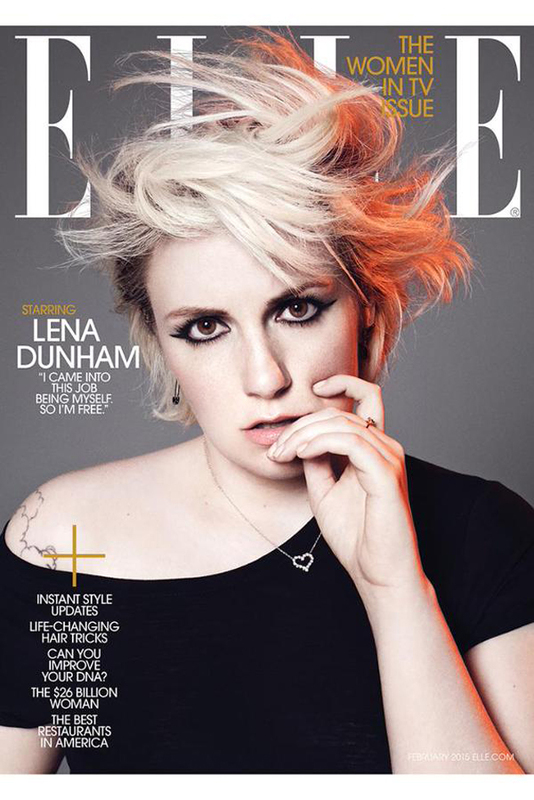 Photos: Paola Kudacki for ELLE, read the article about Lena on ELLE Magazine here! Thank you very much for the correction! I really appreciate it!